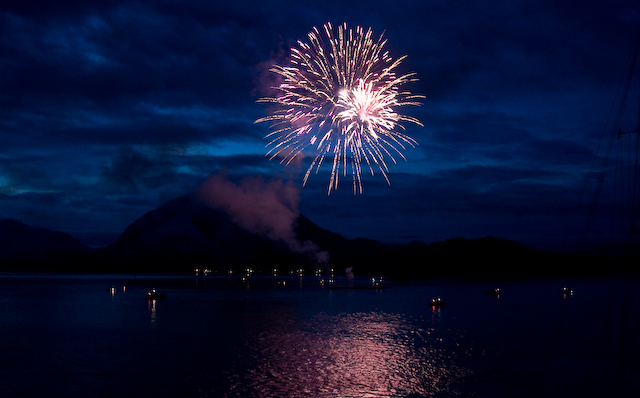 We celebrated Canada Day in Tofino today.Lots of festivities going on around town.At sunset they set off fireworks.They towed a barge out into the harbour & set them off from there. In the background you can see the mountains “Lonecone” & to the left further back “Catsface”. I took these shots from the top of the old North Sea ice house. It gave me a good vantage point. 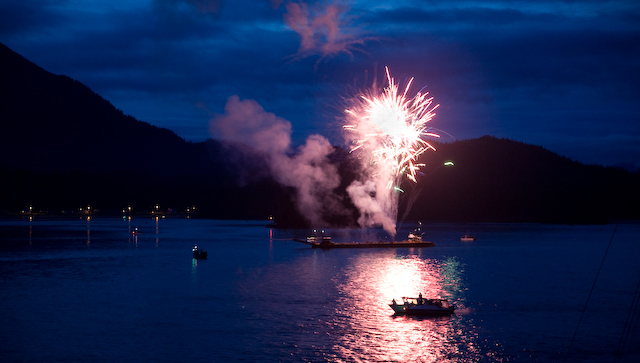 They always use a tug/barge as a platform to set off the fireworks in Tofino. 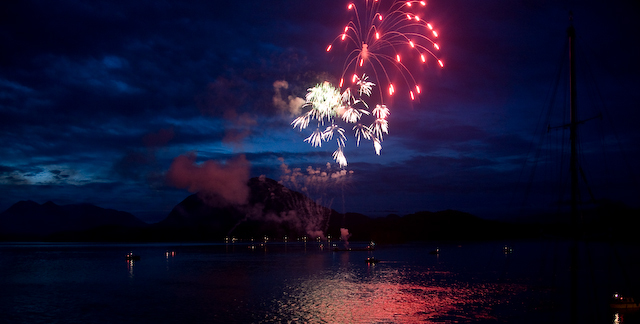 It’s was great to see the fireworks from this vantage point! 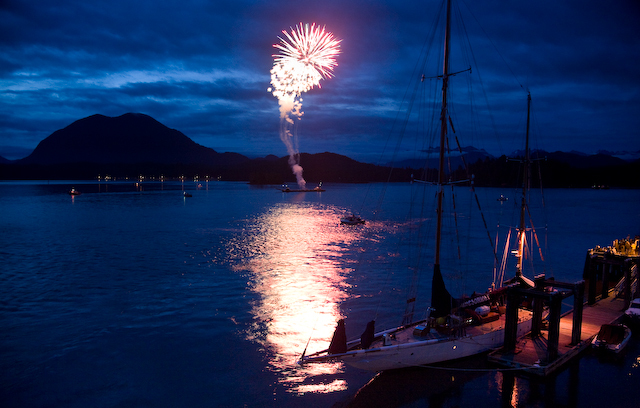 I think the best spot to watch the fireworks from was the sand spit in the middle of the habour! I could see a huge fire going out there! They looked like they were having fun! 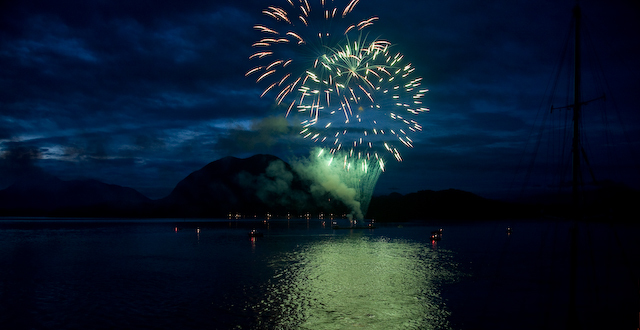 The tide was coming in, so the fire and party were going to be snuffed. Everyone was in a great mood!